A ready made cereal that can be used for some quick, inexpensive treats. This guide contains rice crispie treat tips and tricks. Cereal treats can be quite messy to make, especially when you are pressing them into the pan. 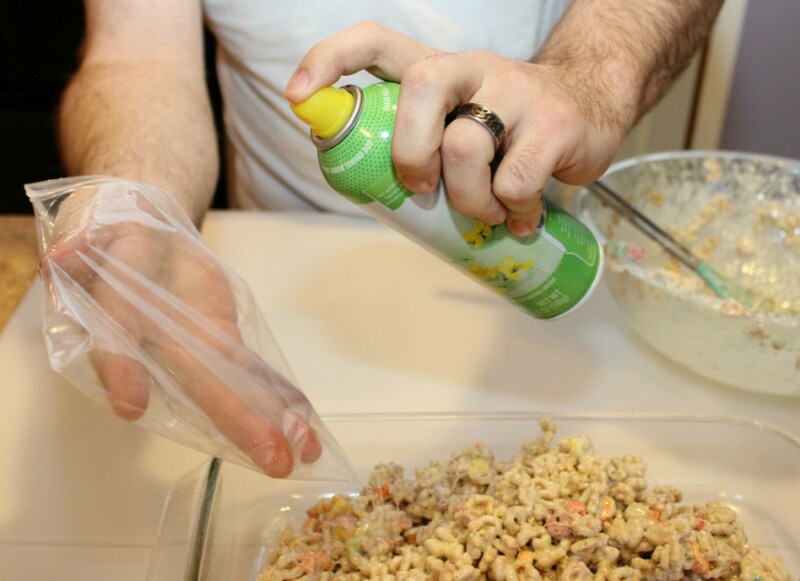 The next time you make cereal treats, put a sandwich bag over your hand and spray it with non-stick spray. Now when you press the treats down they won't stick to you or the baggie. 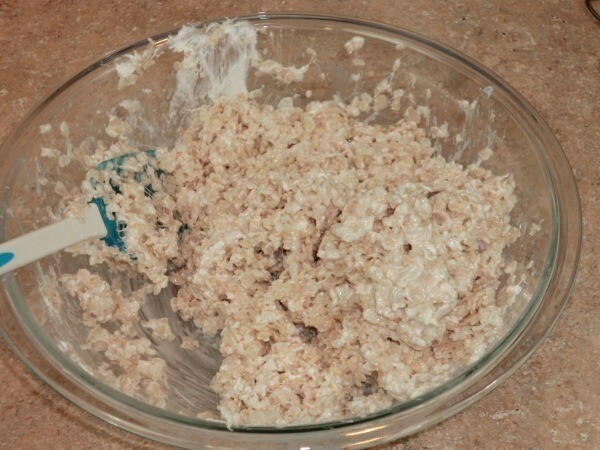 I have been making rice crispies treats a long time. This morning (it's 5 a.m. here) was no exception. I melted the butter, put the marshmallows in, let them melt. In the meantime I poured the rice crispies into a metal bowl and set aside. I stirred the marshmallows until melted and than here's what I did different. I poured the melted marshmallow/butter mixture over the top of the rice crispies that were in the metal bowl. Then I went and put hot soapy water into the pan that I melted the marshmallows in and came back to my metal bowl and wallah! the melted marshmallows did most of the work for me, it had run down into the crispies. Because it was a metal bowl it stayed warm for me to do a final stir and pouring the mixture into a cake pan was a breeze.